In 2005, I became the first Executive Director for a new arts education organization that was part of the Ford Foundation’s Arts Integration and School Reform Initiative that included, at the time, 8 cities across the country. The goal was to see if the systematic introduction of arts integration into a school or a school system could be a path to school reform. The other cities were working through long-established organizations like Big Thought or University of California at Berkeley. We were new so were creating as we went along. My first arts integration project remains my favorite. It was based on how I learned arts integration, which was how I’ve learned just about everything, by just doing it. As an education director for a Shakespeare festival, I wrote residencies to teach kids about Shakespeare, but I never took the time to talk with the teachers to find out what would actually help them in the classroom. I discovered that if I was going to be really effective, I needed to understand the way school classrooms worked. In this partnership, a special ed math teacher worked with a clay artist to create a mural using polygons. Students determined composition (content taught by clay artist) for their tiles and created polygons using measurements and protractors (content taught by math teacher). So, I made an appointment with the principal of the middle school near my house and I asked her to give me a teacher. I was pretty blunt about it. I wanted to plan and teach with a non-arts teacher so that we could learn about arts integration together. The classroom teacher would learn about the arts side of it and I would learn about the non-arts side of it. with Since I was volunteering and had good credentials as a theater teaching artist, the principal accepted my offer. She paired me up with a 6th grade social studies teacher and, together, we planned and delivered an amazing arts-integrated unit on Ancient Greece, including a Dionysian Festival, complete with Greek food and grape juice. The reason that it worked so well is that it was a full collaboration, a partnership. We taught each other about our fields and we learned about arts integration together. Our goal was to teach kids about ancient Greece; we played with the methods. 1. In January, we recruited 12 classroom teachers from across 6 schools and 12 teaching artists from across all disciplines. 2. We brought them together for a day-long training on working collaboratively. 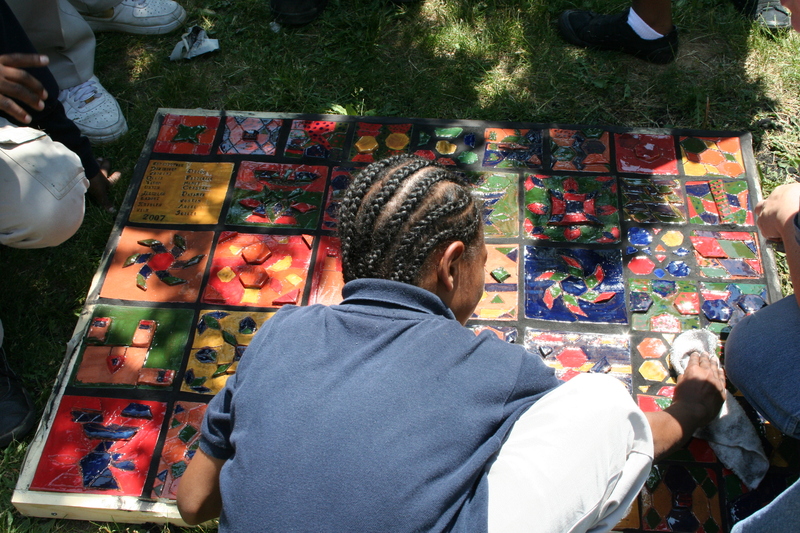 Our goal was more to train them in how to work together than in what arts integration was. We spent some time creating a common framework, but we wanted them to discover arts integration rather than be trained in it. It created a sense of anticipation. We watched as they wondered about each other and who would be their partner. 4. Then we sent them off to plan. Before they left that day, we needed to see a schedule that they had agreed to for both planning and teaching. We gave them instructions to stay in touch with us on a regular basis and to document everything they did. 5. We brought them together 6-8 weeks later for a second day-long training. In this workshop, the partnerships presented and the group discussed their lesson plans and their level of implementation. 6. In May, we met for a final time to share our work. This meeting was a casual pot-luck dinner at which each partnership presented a slide show of their documentation. They discussed their final projects and received feedback from the group. The support of the Ford Foundation allowed us to invest a lot into this program, including paying all participants, but the concept of it is accessible to anyone interested in learning collaboratively. If you are an arts teacher, track down a non-arts teacher that you already have a good relationship with and talk about a partnership. Alternately, partner with a community teaching artist, the way that we did. That allows you to co-teach. Be sure to define what the partnership will look like, assign responsibilities and hold each other accountable. Create lesson plans together, including at least one that is taught collaboratively. It is important for the kids to see that you are working together on this. Meet regularly before, during and after the unit to share successes and concerns. Always be honest and diplomatic. Learn to listen to positive feedback. Document, document, document. Take pictures and video. Interview children before the unit, during and after. Use the documentation to create a presentation to deliver at the next full staff meeting. Build your learning network from there. I believe that the pairing of an arts teacher and a non-arts teacher creates the best arts integration. I strongly believe that this is the best way to learn about arts integration. 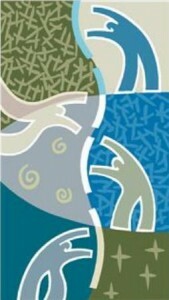 If you’d like to see some of the documentation from this project, visit www.artseveryday.org. Click on one of the Arts Integration Success Stories and then click on the related link for a .pdf that documents the unit. The site is filled with a lot of very helpful information about arts integration.